This suit is hard to beat when it comes to cold-water thermal protection. 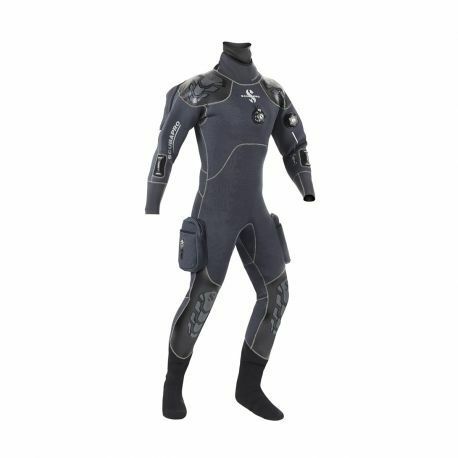 Offering a unique approach to drysuit design, SCUBAPRO's new EXODRY neoprene drysuit fuses 4mm high-density neoprene with latex wrist and neck seals. It's a winning combination, offering minimal inherent buoyancy, maximum range of motion and an excellent sealing system. The EXODRY's high-density neoprene is soft and pliable and it maintains its insulating properties, even on deeper dives, so, depending on water temperature, it can be comfortably worn with or without an undergarment. The heavy-duty latex seals at the wrists and neck provide a comfortable, watertight seal for the upper extremities, while the firm-soled attached rubber boots seal the suit down below. The lightweight, saltwater-resistant TiZip® dry zipper is extra strong and keeps all water sealing edges tight. Quality Si-Tech valves control airflow, a warm neck collar overlays the neck seal to add even more thermal protection, and a neoprene hood (included) completes the thermal system. Also included are durable kneepads for extra abrasion protection, convenient I-Grips on both arms to secure wrist instruments, and a large zippered pocket on the right leg for carrying accessories. If you prefer the more streamlined fit and range of motion offered by a wetsuit, but want to enjoy all the thermal advantages of diving dry, you owe it to yourself to check out the EXODRY. Consider the quality, features, performance and price, and you'll be glad you did. 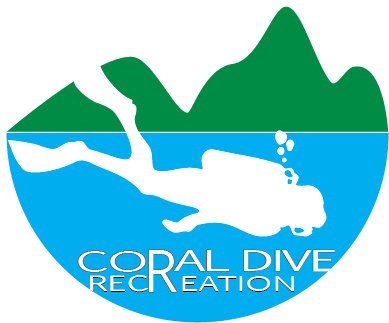 4mm high-density neoprene resists compression so buoyancy variations are reduced at depth. Latex wrist and neck seals are thin yet durable and provide comfortable, watertight seals. Neoprene warm collar covers the latex neck seal to eliminate cold spots and increase comfort. Attached rubber boots provide excellent foot protection along with a non-slip sole for negotiating wet boat decks. Lightweight, saltwater resistant Ti-Zip® dry zipper is extra-strong for years of use. SI-Tech valves move lots of air, enabling you to maintain total buoyancy control. Heavy-duty kneepads protect both suit and lower legs when working on or near the bottom. Convenient zippered cargo pocket lets you safely carry extra gear or accessories. Suit comes with a neoprene hood. Available in 6 mens and 4 womens sizes.